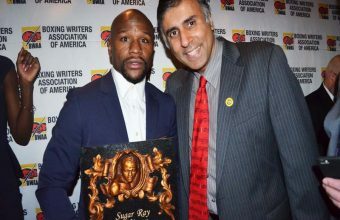 The Boxing Writers Association of America is pleased to announce that its Sugar Ray Robinson 2015 Fighter of the Year is Floyd Mayweather Jr. This is the third time that “Money” has taken the BWAA top honors. The other times were in 2013 and 2007. He and other award winners will be recognized at the 91st BWAA annual awards gala at a date and time to be determined. Mayweather becomes a three-time BWAA Fighter of the Year-award winner, joining a prestigious group that includes Muhammad Ali, Joe Frazier, Sugar Ray Leonard, Evander Holyfield and Manny Pacquiao. It’s the third time in the last nine years that Mayweather has been awarded Fighter of the Year. Mayweather (49-0, 26 KOs) won two times in 2015, adding Pacquiao’s WBO welterweight title, to the WBC/WBA belts he already owned in the highest-grossing prizefight of all-time on May 2 in Las Vegas. He announced the retirement of his illustrious career after beating Andre Berto on September 12. Both of Mayweather’s victories were typically one-sided unanimous decisions. Floyd Mayweather Jr. is an American former professional boxer and current boxing promoter. 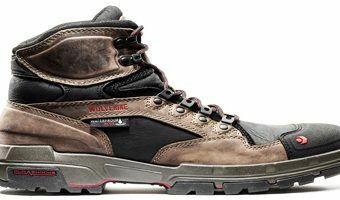 Widely considered to be one of the greatest boxers of all time, undefeated as a professional, and a five-division world champion, Mayweather won twelve world titles and the lineal championship in four different weight classes (twice at welterweight). He is a two-time winner of The Ring magazine’s Fighter of the Year award (1998 and 2007), a three-time winner of the Boxing Writers Association of America (BWAA) Fighter of the Year award (2007, 2013, and 2015), and a six-time winner of the Best Fighter ESPY Award (2007, 2008, 2010, 2012, 2013, and 2014). BoxRec currently rates Mayweather as the sixth best pound for pound fighter of all time and the greatest welterweight of all time. In 2016, ESPN ranked Mayweather as the greatest pound for pound boxer of the last 25 years. Many sporting news and boxing websites rated Mayweather as the best pound for pound boxer in the world twice in a span of ten years, including The Ring, Sports Illustrated, ESPN, BoxRec, Fox Sports, and Yahoo! Sports. Mayweather topped the Forbes and Sports Illustrated lists of the 50 highest-paid athletes of 2012 and 2013 respectively, and the Forbes list again in both 2014 and 2015, listing him as the highest paid athlete in the world. In 2007, he founded Mayweather Promotions, his own boxing promotional firm after defecting from Bob Arum’s Top Rank. Mayweather has generated approximately $1,311,000,000 in pay-per-view revenue and 19,530,000 in pay-per-view buys throughout his career, surpassing the likes of former top pay-per-view attractions Mike Tyson, Evander Holyfield, Lennox Lewis, Oscar De La Hoya, and Manny Pacquiao. 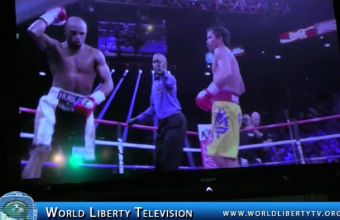 World Liberty TV,Boxing Team was on hand at the 91st Annual BWAA Awards Gala 2016, where Floyd Mayweather was honored with his third BWAA Sugar Ray Robinson Fighter of the Year, Award See exclusive Footage of Floyd Mayweather Receiving this Prestigious Award alongside his Acceptance Speech right here in our World Liberty TV, Boxing Channel. The Boxing Writers Association of America is proud to announce its 91st Annual Awards Dinner which take place on Friday, June 24, 2016, New York City. The event started with cocktails at 6 PM and dinner and awards at 7:30 PM. 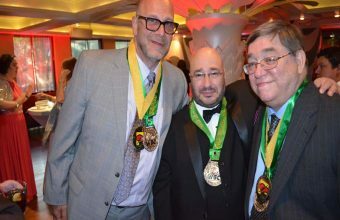 Deemed “The Academy Awards of Boxing,” the BWAA Awards Dinner honored the 2015 BWAA winners, which included Floyd Mayweather Jr. (Fighter of the Year); Francisco Vargas and Takashi Miura (Fight of the Year); Abel Sanchez, (Trainer of the Year); Marc Payton and Mark Taffet, co-winners for Excellence in Broadcast Journalism; Lou DiBella, (Honesty and Integrity in Boxing); and author Joyce Carol Oates, (Outstanding Boxing Writing). Women in Consumer Technology is focused on empowering women, building networks and supporting career opportunities across the breadth of the consumer technology industry. Live networking events and the new and improved online communication tools are designed for members to interact, exchange ideas, educate, and empower. 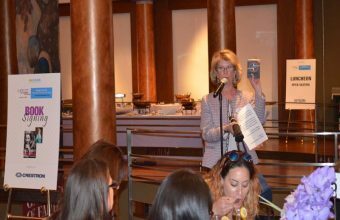 The host of Women in Consumer Technology resources, benefits, and services continues to grow with the support of our members and valued sponsors. 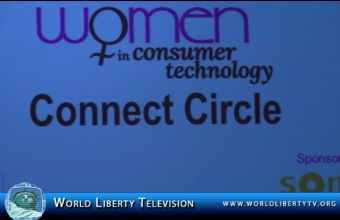 See More about Women in Consumer Technology in our World Liberty TV . 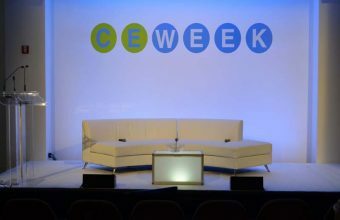 This year CE Week combines three events – Showstoppers, getgeeked, and CE Week – into one to offer companies an unprecedented opportunity to engage all their key audiences at one event. The addition of getgeeked New York to the CE Week schedule continues our tradition of finding key partners who can broaden the audience we deliver to our sponsors. 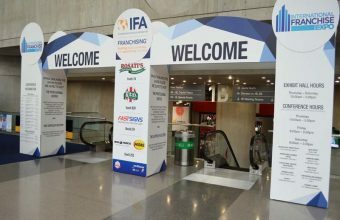 On day one of CE Week, exhibitors will have a unique opportunity to meet face-to-face with over a 1000 passionate, trendsetting tech enthusiasts from 6:00pm to 9:00pm. More than ever, the opinions and recommendations this group of consumers are sharing online and offline are determining the success or failure of new technology products. 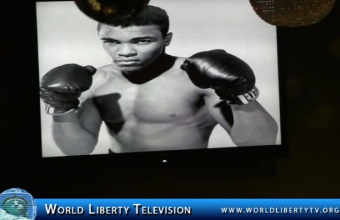 See More About CE week NYC 2016 in our World Liberty TV blogs . Also See Pics of CE Week 2016 in World Liberty TV, Technology Who is Who Photo-Gallery. The Cannabis World Congress & Business Expositions New York is the leading event on the East Coast for the medical marijuana and legalized cannabis industries. 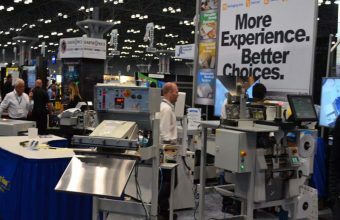 For three days, all under one roof, CWCBExpo NY features education, information and products for navigating and prospering in this high growth industry that will change the business, political, and healthcare landscape in the years ahead. 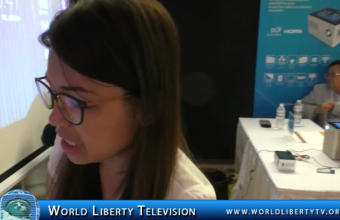 World Liberty TV, Interviewed Antonia White ,who has a medical issue and how Cannabis has helped her with her Disability, See this exclusive interview right here in our World Liberty TV, as well as highlights of The Cannabis World Congress and Business Expo 2016 . 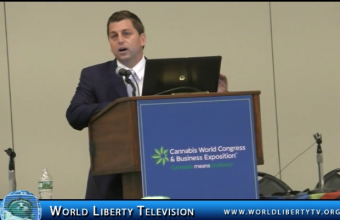 See More About Cannabis in our World Liberty TV Channel.